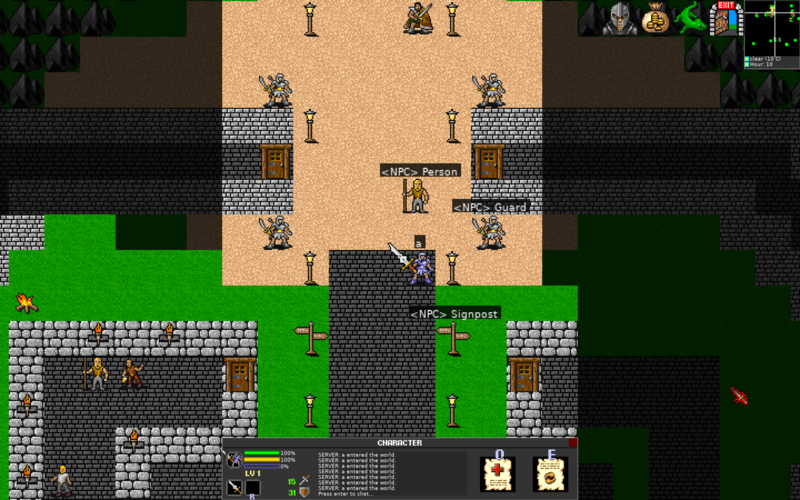 BrawlQuest is a 2d action based MMORPG that's been developed over the course of the last year and a half. We've had 3 somewhat successful Alpha events and will soon be transitioning into beta. The best way that I can describe the game is to ask you if you've seen Thor: Ragnarok, and if so if you remember the intro sequence. If not, no worries: the titular character grabs his hammer and runs around in a circle smashing hundreds of minions as if they're nothing. 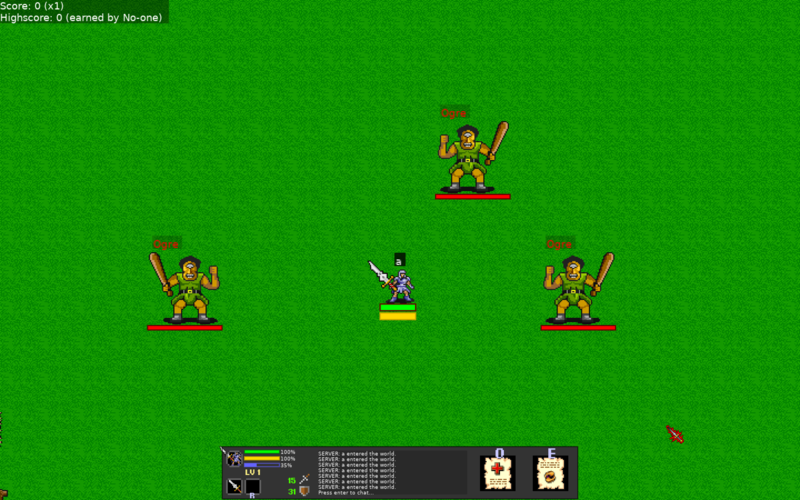 BrawlQuest's combat system is kind of like that but with a whole choice of additional abilities and stats. 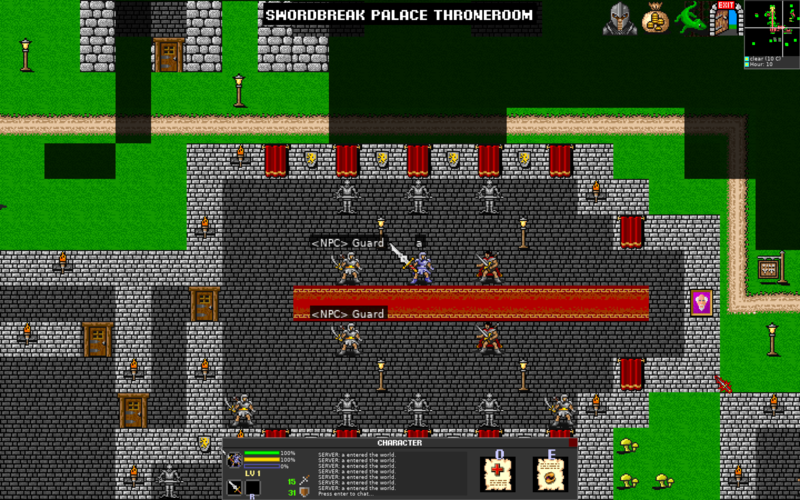 The rest of the game is your typical MMO loot-a-thon: level up, complete quests, earn gear and fight in Dungeons and Raids. There's a rather large world to explore and post-launch we'll be adding in new content monthly, with a story focused expansion pack currently being written. This game will have long term support and right now there are no plans for stopping. The game is releasing on Steam November 1st and will cost £5.99 during early access and £9.99 at full launch. Last edited by Pebsie on Wed Sep 05, 2018 9:08 am, edited 43 times in total. Cheers man!! The pathway thing is definitely something I need to work on. Two servers and 10-30 logins daily doesn't quite sound like an MMORPG, as someone else around here has mentioned, the first M means massive. You expect this to be playable by November 1st? Sounds awesome, is the game, as it stands right now, already networked and multiplayer-able? Is this a μMMO I see? I just wanted to stop by and wish you the best of luck! It certainly is a daunting task, but it looks like you got your sights set straight. Keep us updated with the progress, please! Now now, I'd say there are two ways to interpret that M! For this, massively, in that the game is designed around requiring other players to complete! 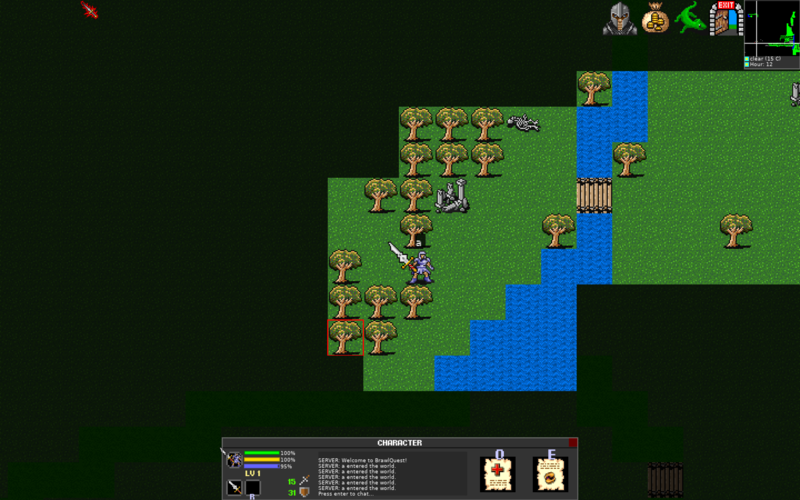 Map editor application finished, lots of work on the map and lore. It's been really tough getting the RNG encounter balance right, but I think I've hit with most tiles being around 5% and places were you'll be looking for a fight (Bandit territory etc) are around 20%. Actual enemy structures like camps are 75% to 90%. One thing I will say is that the map is small: but then so is the scale of the game, at least at launch. This isn't something designed to have hours and hours sunk into it: it's a companion for boredom. I'm a little wary of double posting, but the rules state that it's okay as long as an appropriate amount of time has past. 1 double post a month is okay, right? 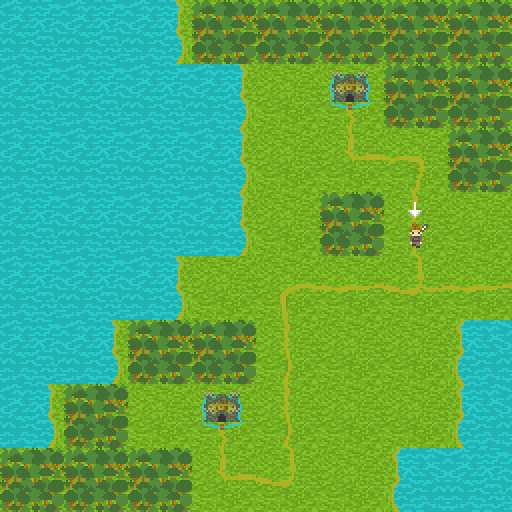 I've been working on sorting the overworld and have just started on the combat system. It's fully designed, just needs to be coded which always ends up being harder than first intended. 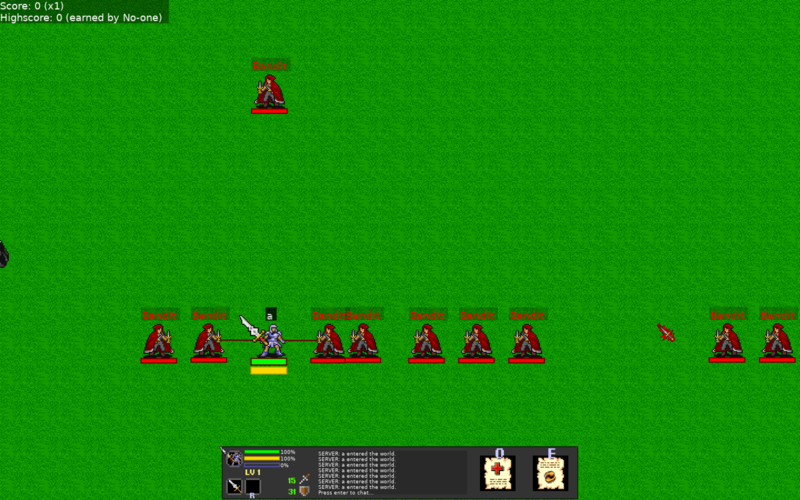 As such I'm removing the 1st November release date and am instead hoping to have a combat demo ready for that date. There'll be just enough to explore the world, level, fight and buy better gear. No crafting, questing or strictly finalised raids and dungeons (but those fights will be scripted and in there). It'll last 48 hours and run every couple of weeks with some nwer features until the full game is ready. I don't want to rush this project out. 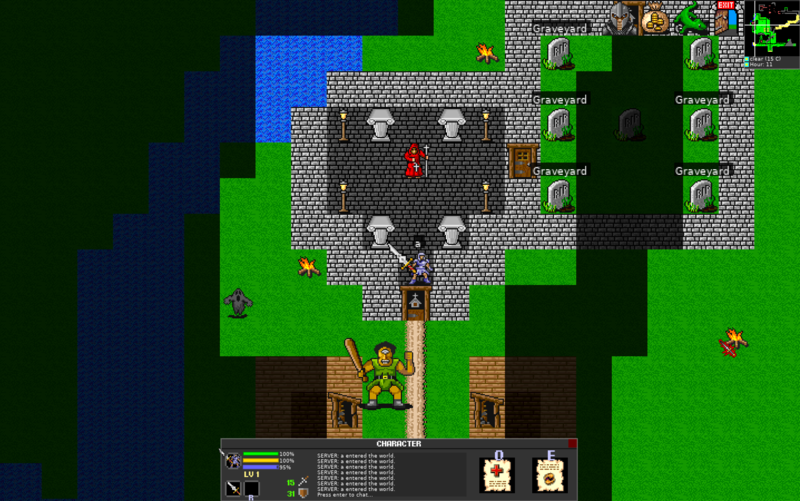 The overworld is basically done in terms of gameplay: you can move around, see other players, get into fights and join existing fights. The UI needs some work and I need to add in chat, but that's not essential for the combat demo so it'll be done after that is all ready. Essential features first. Little gameplay video for y'all! Last edited by Pebsie on Thu Oct 26, 2017 11:51 am, edited 1 time in total. Announcing an alpha halloween event! I promised a release on November 1st and I’m happy to announce the Brawl Quest Halloween Event: Realm of the Skeleton King. In this demo you’ll be able to fight against the Skeleton King’s minions through exploration of The Dark Forest. 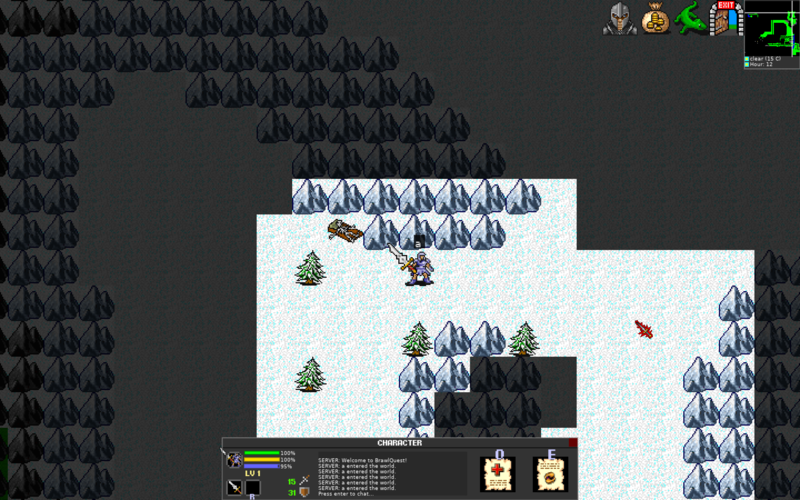 You’ll be able to create a character, earn gold, buy better gear and spells and face the Skeleton King in his castle. 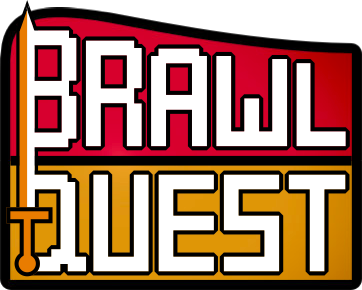 This demo event will run for 72 hours only and will give you a small taster of what Brawl Quest is all about: brawling and gear progression. There’ll be 3 fights and 1 dungeon. You won’t be able to take your character through to the full game, but everyone who kills the Skeleton King will receive a Skeleton Dog buddy that won’t ever be obtainable again. In terms of actual gameplay - provided you have 2 other people to play with - you should be able to complete all the content fairly quickly, most likely within an hour or two. 31st October to 2nd November. Sharpen your swords and get ready to fight!